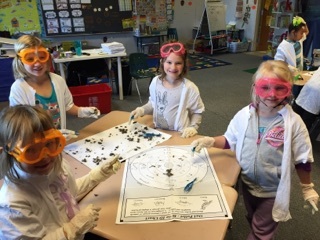 Recently Kindergarten learned about owls. The students learned some big words like “oviparous” or “regurgitate.” They completed many activities such as making an owl vocabulary book or an owl non-fiction book, complete with illustrations drawn by the students. They also read several non-fiction books about owls and made a few owl crafts. 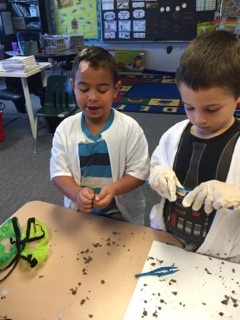 On Friday, Kindergarten ended their unit by dissecting owl pellets. It was a great day! The kids discovered that their owls had eaten rodents. 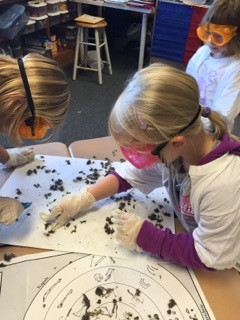 Swing by the kindergarten room to check out some of the owl activities and the rodent bones on display.